Lille Metropole Basket (ProB) agreed terms with 29-year old Burkinabe ex-international power forward Jean-Victor Traore (204-85). He is a dual citizen owning also French passport. Traore moved there from ALM Evreux Basket (ProB) where he played this season. In 41 games he had 6.8ppg and 3.9rpg. The previous season he played at Angers BC (NM1). In 29 games he recorded 10.5ppg, 6.3rpg, 1.5apg, 1.4spg and 1.1bpg last season. The list of the past achievements is quite long as among others Traore's team made it to the NM1 Play-Offs Semifinals in 2011. 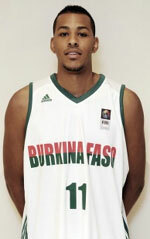 He was also voted Eurobasket.com All-French NM1 Domestic Player of the Year back in 2011. Traore was a member of Burkinabe Senior National Team between 2012 and 2013. He has played previously for two other France teams: Chalon/Saor and Longwy. 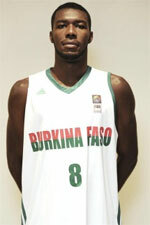 Traore could be described: An athletic PF who has a slim body but is very effective near to the rim.